Despite having a gluten-free labeling rule in place, there are manufacturers who still believe that if they test their final food product for gluten using the sandwich R5 ELISA and it tests below 20 parts per million of gluten then they can label the product gluten-free, regardless of ingredients. As a result manufacturers are labeling food gluten-free even though these products may contain such ingredients as malt, malt extract, malt syrup, extracts of rye, extracts of barley, soy sauce (with a sub-ingredient list that includes wheat), etc. First, there is more than one criterion for labeling a food gluten-free. A gluten-free food may NOT contain ingredients that have NOT been processed to remove gluten. It doesn’t matter how much gluten the final food product contains, even if it is less than 20 parts per million. A manufacturer cannot include a little bit of wheat flour or a little bit of barley malt and label a food gluten-free, regardless of test results. Second, the sandwich R5 ELISA is not able to accurately detect gluten peptide fragments. Gluten peptide fragments result when gluten protein is hydrolyzed (in other words broken apart). A competitive R5 ELISA should be used to detect gluten protein fragments. Note: If you are interested in learning more about the differences between the sandwich and competitive R5 ELISAs please click here. If you come across a product labeled gluten-free yet containing malt, malt extract, or malt syrup please know that despite what the manufacturer may tell you about the product testing gluten-free, these ingredients are NOT allowed in gluten-free foods. This is the single biggest ingredient issue—malt in gluten-free foods–that we deal with at Gluten Free Watchdog. And it is great to report that to date all of these issues have been dealt with successfully (although some cases have taken longer to resolve than others!). Note: If you are interested in what the FDA has to say about malt ingredients, please click here. 1. There is no Code of Federal Regulation definition for “extracts of roasted barley” or “extracts of roasted rye” as there is for malt. a. For example, at Gluten Free Watchdog we tested a product containing as ingredients extracts of roasted barley and extracts of roasted rye and it tested below 5 parts per million using the sandwich R5 ELISA but tested above 20 parts per million of gluten using the competitive R5 ELISA. In other words, test results indicate that this product contains gluten peptide fragments. 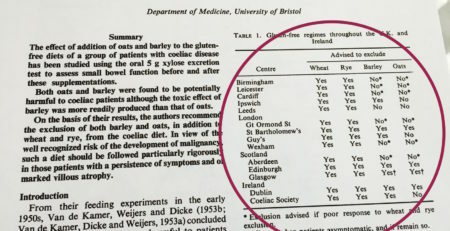 The first time Gluten Free Watchdog sent test results to FDA, the agency responded that, “we are not certain what exactly the extracts of roasted barley and roasted rye contain so we cannot make a decision on labeling as yet.” After the second round of testing approximately one year later, results were again sent to FDA. The agency responded, “We will review your information and follow up as warranted.” The product is still being sold as gluten-free. The ingredients have not changed. This response is vastly different than the response received from FDA when a product labeled gluten-free and containing barley malt was reported. Product was removed from store shelves in a matter of days. Please note that Gluten Free Watchdog always contacts the manufacturer FIRST when dealing with ingredients that should not be included in a labeled gluten-free product. FDA is contacted only when the manufacturer is nonresponsive. 2. The FDA has not yet released the proposed rule regarding gluten-free labeling of hydrolyzed and fermented foods. This may be preventing the Agency from acting on foods containing certain hydrolyzed ingredients. Note: To read the update received from FDA on this proposed rule please click here. 3. While we wait for the proposed rule to be released the FDA provides some nondescript guidance to manufacturers. The FDA states the following in the preamble to the gluten-free labeling rule: A “gluten-free” claim will be permitted on fermented and hydrolyzed foods or foods containing fermented or hydrolyzed ingredients that meet all of the requirements for bearing a “gluten-free” claim even though the gluten content of the food cannot be reliably measured.” Consumers along with manufacturers will have to wait for the proposed rule to find out exactly what FDA means by this statement. In the meantime, manufacturers are interpreting this statement in a variety of ways based on the conversations I have had with some of them. 1. Do NOT eat any foods containing malt, malt extract, or malt syrup even if they are labeled gluten-free. These products should be reported first to corporate and then to FDA if necessary. If you are not comfortable doing this yourself, please contact Gluten Free Watchdog. 2. If you come across a product containing hydrolyzed or fermented wheat, barley, or rye, contact the manufacturer. If you are told that the gluten-free claim is based on testing using a sandwich ELISA, this product should be avoided. It may contain undetected gluten peptides. If the manufacturer is not transparent and does not provide testing information, this product should be avoided. a. If the manufacturer is basing their gluten-free claims on testing using both a sandwich and competitive R5 ELISA I am a bit more comfortable with the product because the testing is more comprehensive. But please keep in mind that the competitive R5 ELISA is not a perfect assay. Personally, I would still avoid this product. You may or may not feel the same. Testing foods for gluten contamination is an exceedingly complicated process and there is no such thing as too much testing. The more testing we do through Gluten Free Watchdog the more often I am left scratching my head. There are very smart people working on the subtle nuances of testing food for gluten. The Working Group on Prolamin Analysis and Toxicity does some of the best work. To read the proceedings of their last meeting click here. If you come across a product you feel may be misbranded based on ingredients, please let us know. © February 2, 2015 by Tricia Thompson, MS, RD for Gluten Free Watchdog, LLC. All Rights Reserved. No part of this article may be reprinted without the express written permission of Tricia Thompson. Recently bought guinness burts thick cut potato chips at world market in San Diego. Package is marked gluten free but it contains barley malt extract powder. The package emphatically claims product to be gluten free. It is made in uk. Hi Sarah, I contacted an FDA Consumer Complaint Coordinator about this product in May. This information will be forwarded to FDA tomorrow. Thank you so much for posting. I had quorn meat a few times and have had a reaction like this morning. they have Gluten Free Roasted Barley Malt Extract in the quorn meat…..im wondering if this is not as gluten free as they say? Sorry to hear this Jennifer. Are you located in Europe by chance? I’m asking because this product should no longer be labeled gluten-free in the US. I had purchased a product, Dandy Blend, manufactured by Goosefoot Acres, Inc. in OH. It is produced in Poland for this company. It has a large ‘Gluten-Free’ label but the ingredients are: extracts of roasted barley, rye, chicory root, dandelion root and sugar beet. I have contacted the company who stressed that this product has been tested and is < 5 ppm. They did not tell me how it was tested. This is a beverage product that is very similar to Postum. I remember that Postem had always made me sick. I have Celiac Disease. I am looking for any feedback from anyone who is familiar with this product and/or the ingredients. My gut feeling (pardon the pun) is to leave it alone. Hi greatly informative. Thanks. We bought some Burts Crisos ‘Reggae Reggae’ crisps as labelled Gluten Free, but they contain Barley. pretty confusing and a shame they either don’t explain on the packing or omit barley altogether. We are in uk. In the UK barley malt extract is an allowed ingredient in foods labeled gluten-free. You may want to contact Coeliac UK for more information. Yesterday I had the seasonal Cranberry-Raspberry flavor of frozen yogurt at Yogurtland. The label said it was gluten free, however I started to get symptoms of having eaten gluten, so later I check the ingredients online and one of them was malted barley. That’s gotta be gluten, right?! I was very upset because I usually go to Yogurtland with no problem but this seasonal flavor messed me up. Sarah here again, here is the link to where I found both the ingredient list for this flavor AND you can even see the supposed “gluten free” label on it too. Thanks! I have been getting my typical gluten reactions whenever I drink Dandy Blend (joint pain, stomach ache, balance issues …to name a few). The label says it is gluten-free and the manufactures says they passed the ELISA test. So I told myself it’s probably not from this product. However my symptoms subside after a few days of completely avoiding Dandy Blend and returns within a few hours of consuming it. I am convinced it contains enough ppm of gluten to not qualify as gluten-free but the manufacturer is getting away with their marketing based on a technicality that’s FDA supported. Not fair! I’m throwing mine out. Hi Eugenia, If you are a subscriber to Gluten Free Watchdog please login and then click on this link https://www.glutenfreewatchdog.org/search?q=dandy+blend. Please report your symptoms to an FDA Consumer Complaint Coordinator in your state. For a listing see http://www.fda.gov/Safety/ReportaProblem/ConsumerComplaintCoordinators/. This is very important to do. Linda, Sorry to hear this. Is this product labeled gluten-free? If so can you please send photos that include the product name and ingredients list. Thank you. I have been feeling kind of awful lately and wondering if I’m reacting to this despite it being called “gluten free”. Is this product safe for celiacs, or not? If the formulation for Dandy Blend remains the same as when we last tested it, it is not a product recommended by Gluten Free Watchdog. Found a bottle of old speckled hen beer labeled gluten free in tesco so after looking at the label I bought it. When I got it home I scrutinized the label further to find it says contains malted barley. It’s very small to see. So I won’t risk it. Dont want to be ill. Shame, it might have been nice. Angela, are you in the UK? In the US, gluten-removed beers containing barley malt are not allowed to be labeled gluten-free. I was recently given a box of Lindt Lindor assorted 150 gram chocolates which have no ‘contains gluten’ warning, apparently in breach of Australian food labelling laws since the listed ingredients include barley malt extract. General Mills Cheerios are now label gluten free, and there ingredient are gluten free oats, and gluten free oat brand, and I heard about the re-called that happen in the pass, it should be ok now? The other question I have Mars Bars his not label gluten free, and it says it got Orge Malt, and they don’t have may contain wheat, or contain wheat at the bottom of the ingredient list, Mars Bars Caramel does not have the Orge Malt, at all, but it does not say may contain wheat, and they are not label gluten free. Hi Denis, Gluten Free Watchdog does not recommend gluten-free Cheerios at this time due to their testing methodology. I do not know what “orge malt” is? Can you please provide some more information. Are you in Canada? I have just bought and drank ‘gluten free’ Peroni beer… it is clearly marked as gluten free but it contains barley malt. Laura, did you purchase this beer in the United States? In the UK, some beer made using barley malt may be labeled gluten-free. This is one of the confusing differences between gluten-free labeling in the UK and the US. If you are concerned about this particular brand of beer, my suggestion is to contact Coeliac UK. Thank you, Tricia, I will! Does anyone know what Coeliac UK has to say about this beer? Hi, Lindts chocolate contains Barley Malt. It is not labelled as glutenfree, but on the ingredients list it is not put as an allergen? Milk and Soy are highlighted.. 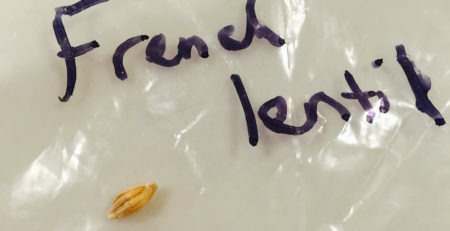 In the US under the Food Allergen Labeling and Consumer Protection Act, barley is NOT one of the allergens that must be called out in either the ingredients list or Contains statement. Lindt chocolate!! In past years the holiday chocolates did not contain barley, but now they do! I think they changed the ingredients at some point. Just ate some of their chocolate without checking and now anxiously waiting for side effects. Just goes to show you have to read the labels every time, even for items that were ok before. Rice Chex say gluten free and it contains malted barley. My daughter has been recently diagnosed with gluten allergy we are going to see the gastroenterologist. My daughter has gone gluten free and still not feeling well. Couldn’t understand why until i checked the label on RICE CHEX. Hi Hope, Rice Chex from General Mills labeled gluten-free and sold in the US contain molasses. Please check the box again to make sure the ingredient list includes malted barley. If it does, please take photos of the box, including the gluten-free claim and the ingredients list and send them to me at info@glutenfreewatchdog.org. I’m so confused…is malted barley different from barley malt? The “malted” in malted barley seems to be a fermentation process which actually has nothing to do with malt. So is barley malt an actual sugar? How about malt flavoring? is this a chemical flavoring or an actual malt product. (As seen on the label of the original rice krispies treats?) I am hesitant to try it. 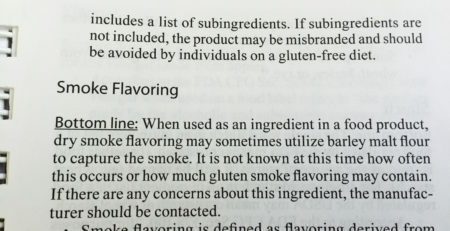 Malt flavoring is a barley derived ingredient and should be avoided by folks with celiac disease. There needs more to done to address the issue of Gluten Containing Products, it is all very well and good printing a label and stating that it contains a food allergen. The main problem it some of the words are either that small and difficult to read or do not stand out clearly enough. It would be easy enough to just change the color/colour of the allergen on the label so that it stands out. If we take the likes of a product like soup, it often contains Wheat as a Thicking Agent, there are other thinking agents that would make them safer the like of Corn Flour. I personally though usually stay away from any product that is stocked beside one that would be an Allergy Risk. There are some stores that do not realise that the words Free From and what they mean. Any product that does not contain something like Sugar but contains an Allergen like Wheat. Even though that product is sealed it really does need to be stocked in a different area. Daura can not be labeled gluten-free in the US. It must be labeled processed to remove gluten. Interesting. I live in Chile where it’s labelled gluten-free. I just looked at the ingredients for Ben & Jerry’s Non Dairy Coffee Caramel Fudge Ice Cream and it has malt ingredients and allergens do not list Gluten as possible allergen. Hi Kimberly, Gluten, barley, and rye are not among the 8 allergens that must be named in a Contains statement if a Contains statement is included on a food label (if packaging does not include a Contains statement, any of the 8 allergens present in the product must be named in the ingredients list). Wow! I didn’t know that. Thanks so much for enlightening me! There are maltsters coming online that are exclusively making malt from gluten free grains like Rice, Millet, , Buckwheat, and quinoa. Grouse Malting in Colorado, and Eckert Malting and Brewing in California are the two examples that I know. So as GF malting expands, we should expect to see malt in Gluten Free food and beverage products more often. But I would not eat anything that says just malt, and not specifically millet malt, rice malt, etc. P.S. There are also a number of real gluten free beers and dedicated GF breweries out there. Several in Oregon, Washington state, Colorado, Utah, California, Ontario, and 1 in Pittsburg Pennsylvania. Thanks for the information about the increase in various malts made using gluten-free grains. For those who are not aware, any grain can be malted. 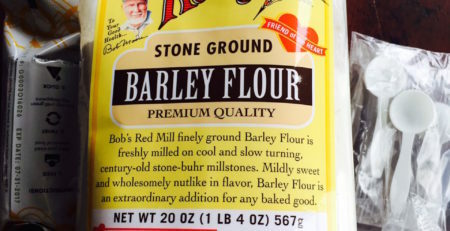 However, the single word “malt” in an ingredients list means “barley malt.” If another grain source is used it should be named (e.g., sorghum malt, etc). Knorr Rich Beef Stock Pot is clearly labelled as “Gluten Free” but left my husband in agony last night. This morning we checked the ingredients and is does in fact contain BARLEY malt extract (5%). How can this be allowed. Hi Helen, Are you in the UK or EU? If so, barley malt extract is allowed in foods labeled gluten-free. You may want to reach out to Coeliac UK about your experience. If you are in the US, barley malt extract is not allowed in foods labeled gluten-free.Do you have product photos by chance? On Quorn’s website, I read the ingredient list for their Meatless Grounds. On the website, it states “For allergens, including cereals containing glutens, see ingredients in bold.” One of the ingredients is Roasted Barley Malt Extract for the Meatless Grounds, yet nothing is shown in bold as an allergen. So, off I went to buy some. When I scanned the bar code at the grocery store, the ShopWell app told me to avoid it because it contained gluten. While the package itself does not say gluten-free, I expected an allergen to be shown in bold in the ingredient list. I plan to write to the company to ask about this. Any insight you can offer would be greatly appreciated. Hi Suzanne. Are you in the US? If so, barley is not considered one of the top 8 allergens. Also, the top 8 allergens must be declared but bold lettering is not required. If you are in the UK, then I believe the word barley must be in bold lettering. Hello Tricia, Yes, I am in the US, and thank you for your clarification. I think we need to insist that (BROW, as I call it) barley, rye, oats, and wheat be listed as allergens. Anyone who is sensitive to gluten needs to avoid them. I.purchased a 4 pack Peroni Gluten Free Beer in the uk.and the bottled ngredients has,barley malt in it also in bold it says barely. Coeliacs cant have barley in their diet due to traces of glutenin their diet. I was confused as to why it was on.there . Can you let me know please? Hi Marg. In the UK some beers made with malted barley can be labeled gluten-free. In the U.S. certain beers made with malted barley can be labeled “processed to remove gluten” but they can’t be labeled gluten-free. My suggestion is to contact Coeliac UK for more information. 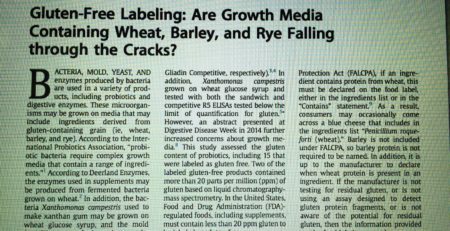 Article Summary: Gluten-Free Labeling: Are Growth Media Containing Wheat, Barley, and Rye Falling through the Cracks?